Very Good. Who Stole the Wizard of Oz? by Avi, 2000-01-01. Trade paperback (US). Glued binding. 128 p. Contains: Illustrations. Intended for a juvenile audience. Good. Who Stole the Wizard of Oz? by Avi, 2000-01-01. Trade paperback (US). Glued binding. 128 p. Contains: Illustrations. Intended for a juvenile audience. Very Good. 0394849922 Ships from Tennessee, usually the same or next day. 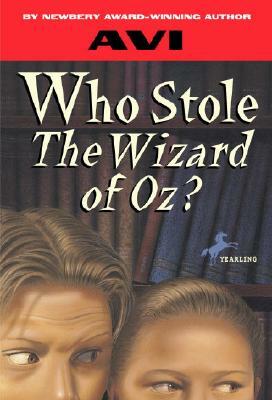 All Editions of Who Stole the Wizard of Oz?